IPU CET 2019 Exam Schedule has been changed for few courses. Indraprastha University will not conduct Common Entrance Test for offering admissions. 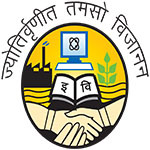 This university offers admission in various UG, PG and other courses in the field of engineering, management, law, computer applications, medical, nursing, etc. Admission in MBBS & BDS courses will be given through NEET scores. On the basis of IPU CET scores, admission will be given in GGSIPU and its affiliated institutions. Students can check here details about IPU CET 2019 including dates, application, eligibility criteria, etc. IPU CET 2019 Exam Schedule has been changed for few courses. Check here for exam schedule details. IPU CET 2019 Application form has been released from 23rd March 2019. Check here for application details. IPU CET 2019 Admissions will be done on the basis of national level exams. The IPU CET application form has been released through online mode only. It has been released on 23rd March 2019 for all the courses. Candidates can apply for multiple courses through their login. The application fee is Rs. 1000/- for each course. Payment can be done via online mode using debit/credit card and net banking. B.Tech 12th class passed with PCM subjects. MBA Three years or more bachelor degree or equivalent in any stream. MCA Bachelor degree in any stream with securing 60% aggregate (55% for SC/ST). Firstly, prepare a time-table for preparation as per your suitability. Find out all the details about the syllabus and exam pattern. Take help from the reference books and other study materials available in the market or internet. Practice previous year question papers it will help you to know more about the exam pattern. Maintain your health during preparations. Question: When will be the IPU CET application form 2019 released? Answer: It is available from 23rd March 2019 (as per the courses). Answer: You have to upload scanned images of photograph, signature and left hand thumb impression. Question: Can I pay the application fee via offline mode? Answer: No, fee payment will be done through online mode only. Question: I have compartment in Mathematics subject in class 12th. Am I eligible to apply? Question: What is the eligibility criteria to apply for B.Tech course? Candidates must carry two copies of the photograph (same as uploaded in the application) at the exam centre. Students should carry two printouts of the admit card. One copy of the admit card should be retained by the candidate after getting it signed by the Invigilator and second copy should be handed over to the invigilator for university records. Students will be able to check the IPU CET result 2019 via online mode only. The result will be announced within two weeks after the completion of exam. A merit list will be prepared for admission as per the marks scored in the CET. Students will be able to participate in the counselling as per the merit. The IPU CET counselling process will be organized through offline mode. It will be conducted in various rounds as per the availability of seats. Students also have to pay the counselling fee of Rs. 1000/- which is non refundable. As per the candidate’s merit, seats will be offered to candidates. Candidates have to choose from the available option when their turn comes. Sir,now cat as well as cmat both the exams have been conducted.how can we apply for ipu,if we haven’t applied fr these two exams. When will application form of B.pharma 2019 released please reply me. Ipu mbbs registration 2019 date.. When will the IP university admissions forms 2019 released?? As per the site it is saying that 3rd week of February but it is not yet released and February months is coming to end in few days. I am waiting for the form. When is the form releasing please tell. I want to know when the form of IP University is going out of the bca course? Fill you percentage. Convert the cgpa into percentage. Now I’m giving board exam …. Yes, you can apply for UG courses. Is BBA(Travel and Tourism Management) available in IP university??? Male candidates are eligible for the B.Sc Nursing??? and total fees? Sir, i am from general category delhi outsider..would i get a seat in ggsipu or not for bba ? I have filled all my personal information in my application form for ipu cet 2019.. but it is not showing the courses I can fill for .. please help what should I do ? Neither my payment is done nor filling of courses.. reply fast please. The application process for IPU CET 2019 is not started yet. Wait for the application process to start. Admission in MBBS and BDS will done through NEET Scores. How can apply for mass media can anybody suggest me? I wNt to tk admission in m.b.a. in ip university… So…is it necessary to give CAT exam or I cn apply through cet??? We will update our article when any notification will be released. Hi. I am currently studying in IPU and I wanted to know that whether I can give the CET 2019 or not. I was admitted through CET 2018. And if I clear the exam then can I take admission in another stream because I have back in 1 subject in first semester ? I want to know the syllabus for B.Sc nursing IPU CET exam ?? I will appear for 12th boards in 2019 ?? Am I eligible for the B.Sc Nursing IPU CET exam ??? Yes, 12th appearing candidates can apply. You can apply for B.Arch through NATA scores also. My son is appearing in 12th in 2019. Is Nagpur a centre for IP CET? I am 12th pass out with PCB and math’s is the extra subject. Can i eligible for BBA in IPU? I am a student of DMLT and want to take admission in BMLT by LE. Is it possible in IPU ? No such information is released by the officials yet. Can you plzz suggest Me when will B.Pharma application forms release in ipu? Sir I am pass out for nios class 12th (pcm) so, I am eligible for entrance exam. when will be the forms of BBA , BCOM and BMS available? When Will the exams commence? When it will be released we will update in our article. when the registration for MBBS 2019 will start ? when BPT application form will release? Yes, it is necessary to give. I want to ask that there are MBA nd MBA IT course should we have to fill different form for it. I got 49 marks in chemistry in class 12th,I’m eligible for IPU CET BCA entrance exam? If the aggregate in PCM is 50%,then you are eligible for appearing in the IPUCET. Pls share the MBA ipu syllabus for the entrance exam. what is the eligible criteria for bsc. nursing?? what are the entrance exams for MBBS ,BAMS apart from NEET for 2019.
and which exam is for pharmacy . Sir I passed 12th this year but didn`t fill the form for ipucet.am I eligible to get admission in b.tech. programme for next year (2019)? .My date of birth is 9 Jan 2000. Is it available the courses for M. Sc. In ip university???? Sir can i give IPU btech in 2019 if i give improvement exam in 2019?? I perusing BCA.. Nd this is my last year. Can i eligible for this. But i want to join this year. Can i join any how?? You cannot join this year. Sir, I just passed out from 12th. I didn’t knew about IPU so i didn’t filled the form. Just wanted to enquire about whether I would be eligible in 2019 for Btech. I successfully fulfill the required criteria.